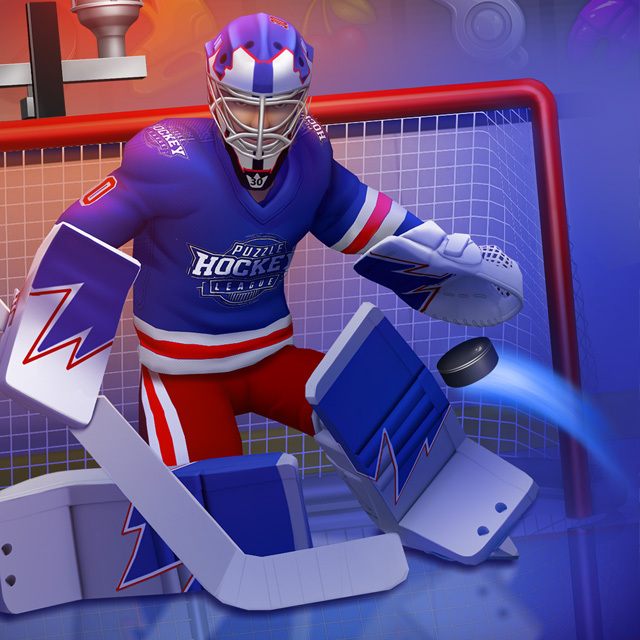 Match, shoot, and score with the ONLY puzzle-hockey game on mobile! 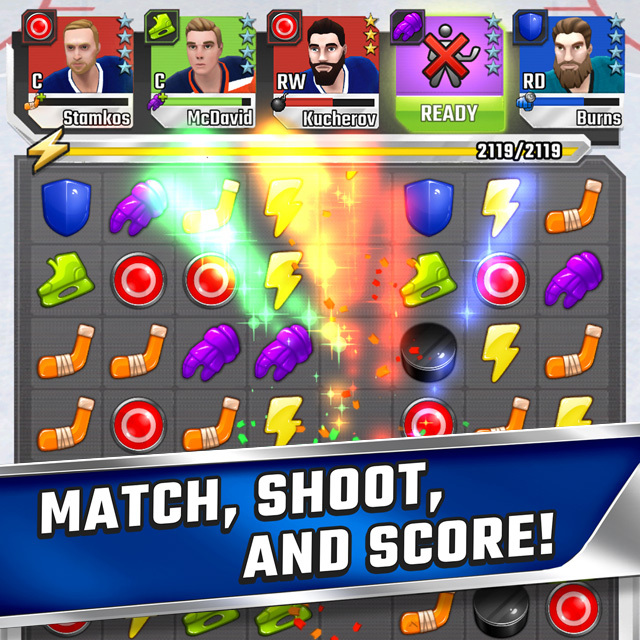 From the minds behind some of the highest-rated sports titles in gaming, Puzzle Hockey blends classic Match 3+ gameplay with dynamic touch-based Hockey Mini-Games for an addictive combo of strategy, skill, and snipes! 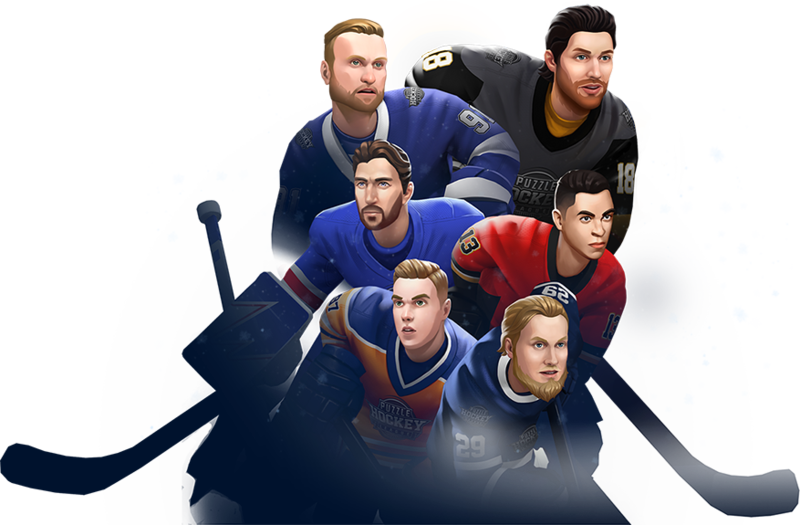 With over 150 officially licensed NHLPA superstars waiting to join your team, whether you’re a sports fan, a puzzle fan, or both – you’ll have a blast building your dynasty in the PHL. 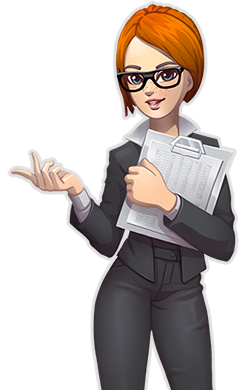 Download for free and start scoring today! Skate off the game board and onto the ice with a variety of dynamic touch-based mini-games that put your skills, hockey vision, and timing to the test. Feel the rush of real hockey moments as you time the perfect pass, swipe a shot top-shelf, or take control of goalie to make a monster save! You’re in the big leagues now, so bring your A-game! 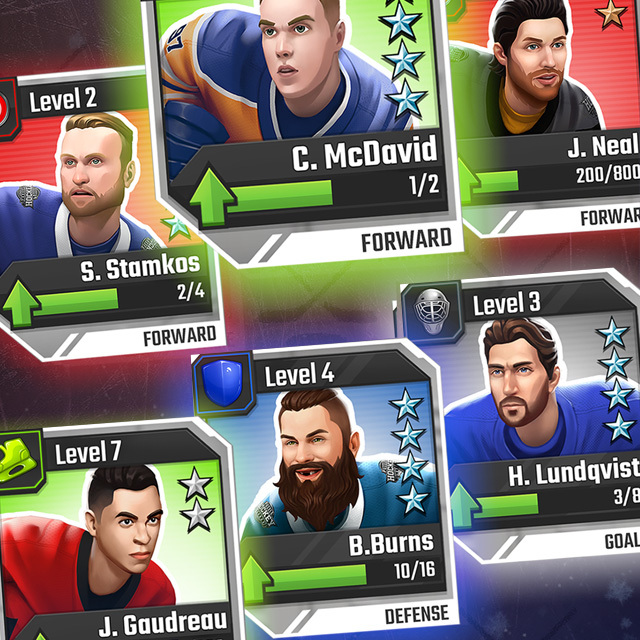 Collect cards and build your dream team from 150+ real NHLPA superstars. Level them up, find the perfect chemistry for your lineup, and unleash their power-ups to crush the competition. Think you’ve got what it takes to be Puzzle Hockey legend?